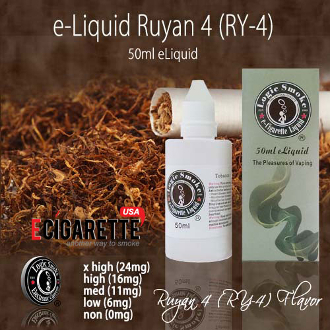 Our RY4 flavor incorporates a natural, naked tobacco taste to it. It’s earthy and woody, with a caramel sweet undertone that adds a sweet note to the present rich tobacco flavor. The flavor closely resembles the aroma of a tobacco drying barn; rich and heady, nonetheless clean and pure.